You do your best to eat healthy at home, but that busy 9-to-5 can make it difficult to stick to a routine. At times, it can seem easier to just grab a bite at the local pizza place or burger joint, but we’re here to tell you that’s not true! To help you stay committed to living a happy and nutritious lifestyle, we put together a list of easy-prep recipes for the office that will keep you on the path to success. One key to continued healthy eating is to ensure that food prep fits seamlessly into your schedule. Our Avocado and Great Northern Bean Salad is just the thing. With just 10 minutes needed for prep, it’s easy to pack this delicious salad at night or in the morning before work. 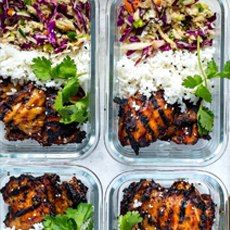 Meal prepping is the all the craze, and for good reason! It allows you to plan all of your healthy meals for the week in as little time as possible. Give this Korean Chicken Bowl recipe a try using our ready-to-serve jasmine rice for a filling lunch throughout the week. 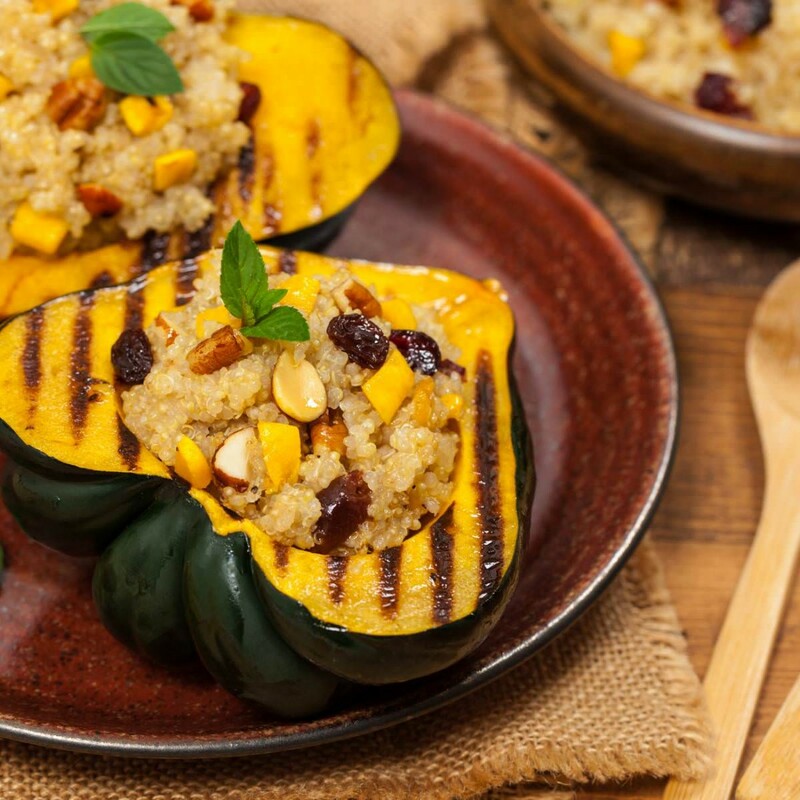 Leave your boring turkey sandwich at home and go for these Southwest Sweet Potato Vegan Bowls instead. Made with Green Valley black beans, each serving can be easily made in meal prep tupperware to be stored in the office fridge. Just make sure you have your name on it! Lunch during the work week is to be enjoyed, not dreaded! For a midday pick-me-up thats good for your mind and body, try our Green Valley greek salad topped with garbanzo beans and feta. 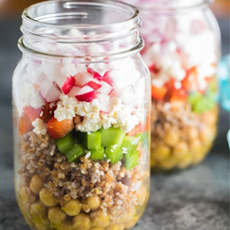 Impress your coworkers with your healthy life choices by bringing in this Chopped Chickpea Salad. This recipe is made with Green Valley garbanzo beans mixed with a variety of veggies. Not only is this nutritious, but refreshing too! We make workplace snacking easier and healthier with our veggie cups of peas, corn, and string beans. Skip the bag of chips that won’t fully satisfy your cravings and replace them with our single-serve veggie cups that are hot and ready in just 30 seconds! Do you have any of your own tips to eating healthier in the workplace? Share your thoughts with us on our Facebook or Instagram page and we might just share it!